A Rhine River Christmas Market Cruise has been on our bucket list for a long time. In December 2012, Alan and I cruised on AmaWaterways Amacello from Amsterdam to Basel with a land extension in Lucerne and Zurich. As we publish posts, you’ll see them here. We didn’t expect such a snowy welcome to Amsterdam. But those white flakes didn’t keep us from exploring the city’s picturesque Jordaan District. 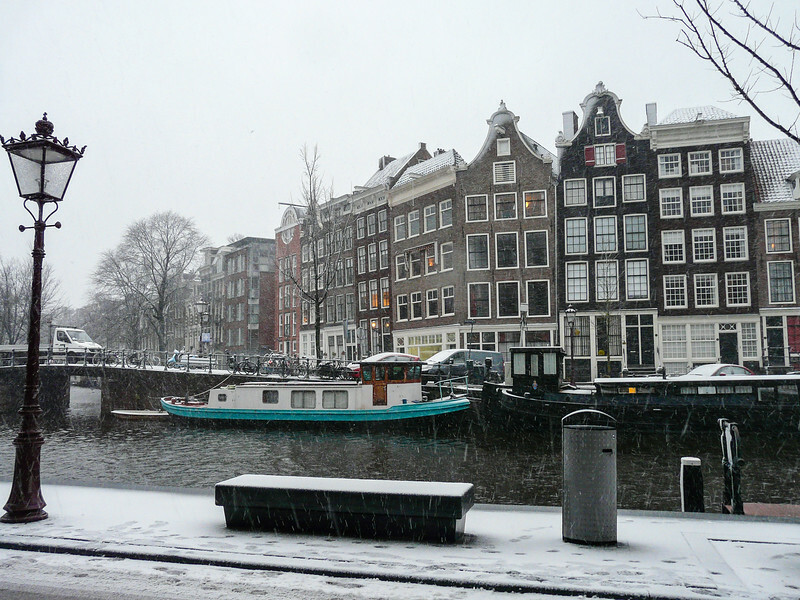 Read more about our experience by clicking on A Snowy Walking Tour in Amsterdam. After touring Amsterdam, we stopped by a Dutch windmill before meeting up with the Amacello. To read more about it, click on A Foggy View at Riekermolen. 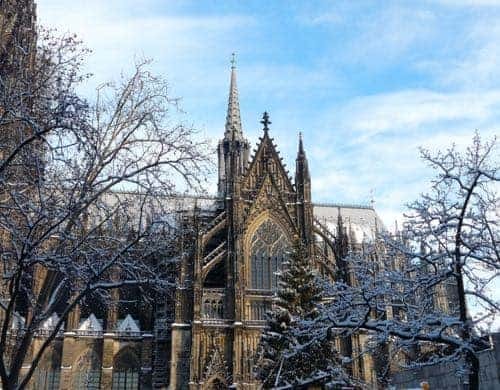 On a Cologne Walking Tour, Alan and I experience our first Christmas market as Amacello makes her first stop on the Rhine River. Click on Cologne Walking Tour to read about our experience. As our ship winds through the Rhine Gorge where medieval castles and vineyards compete for attention above scenic river banks, Alan and I vowed to cruise the Rhine once again. 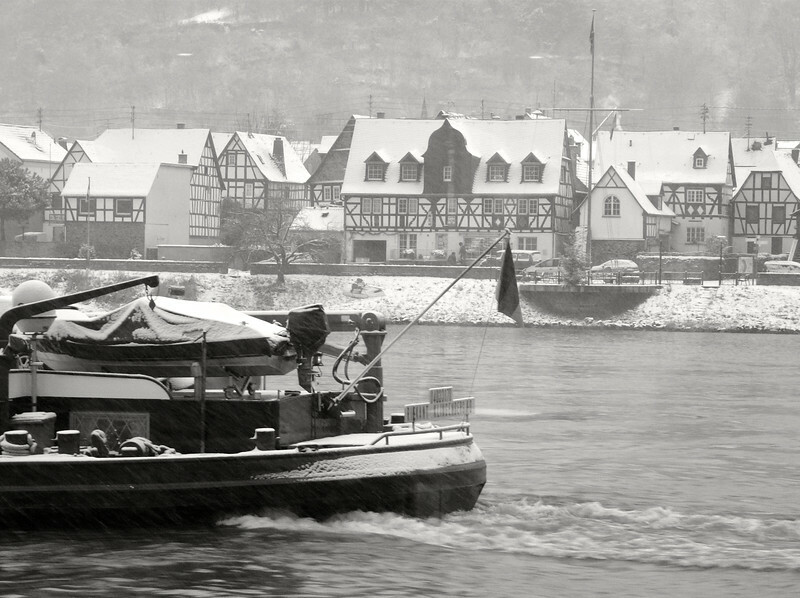 To read more about it, click on Winter on the Rhine. 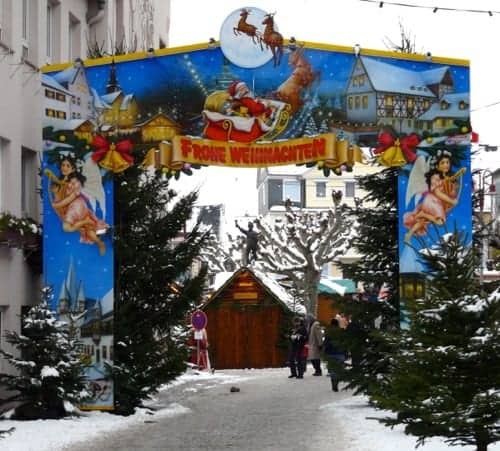 The Christmas market in Rudesheim met our expectations of a charming German village celebrating Christmas. Read more about our experience by clicking on Rudesheim Christmas Market. There’s a reason Strasbourg is known as the Capital of Christmas. 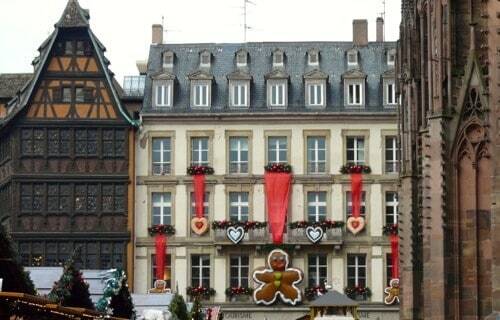 To find out why, click on Strasbourg, the Capital of Christmas. We toured the Lion of Lucerne on a land extension with AmaWaterways. Unfortunately, this is all we saw of the lovely Swiss city due to Donna’s back injury. To read more, click on The Lion of Lucerne.